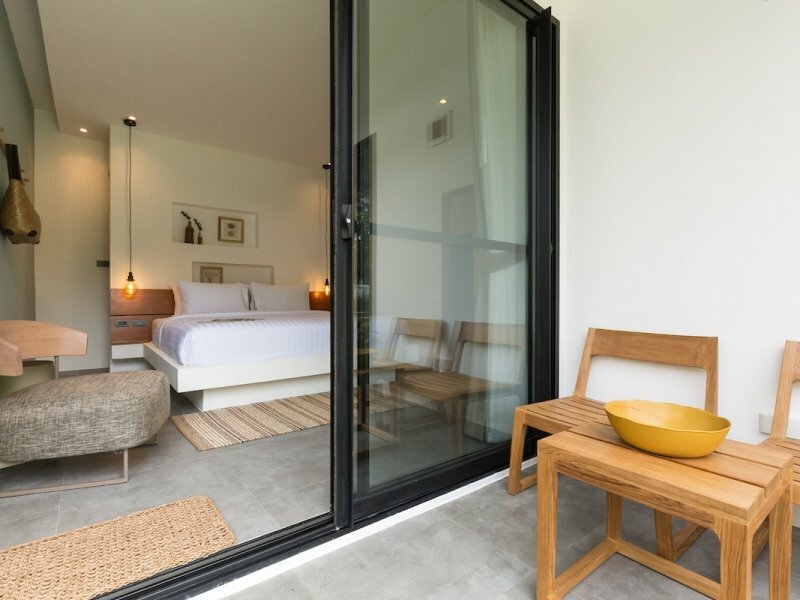 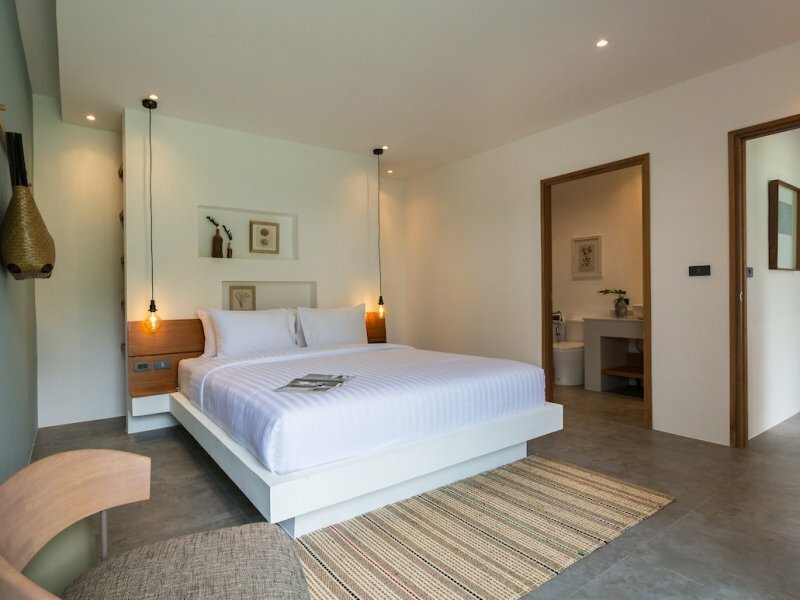 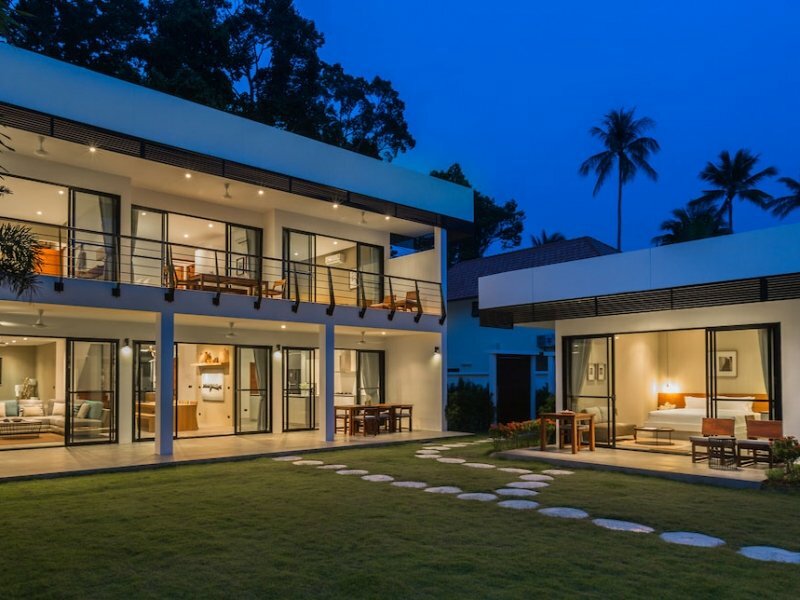 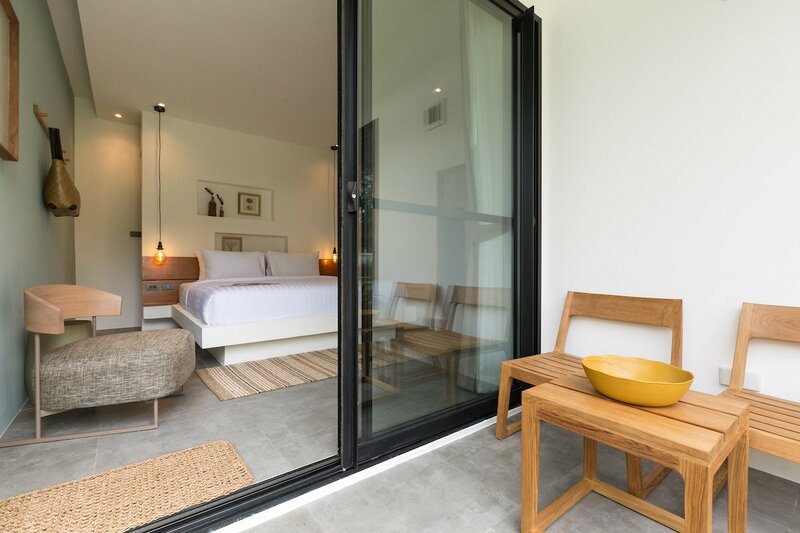 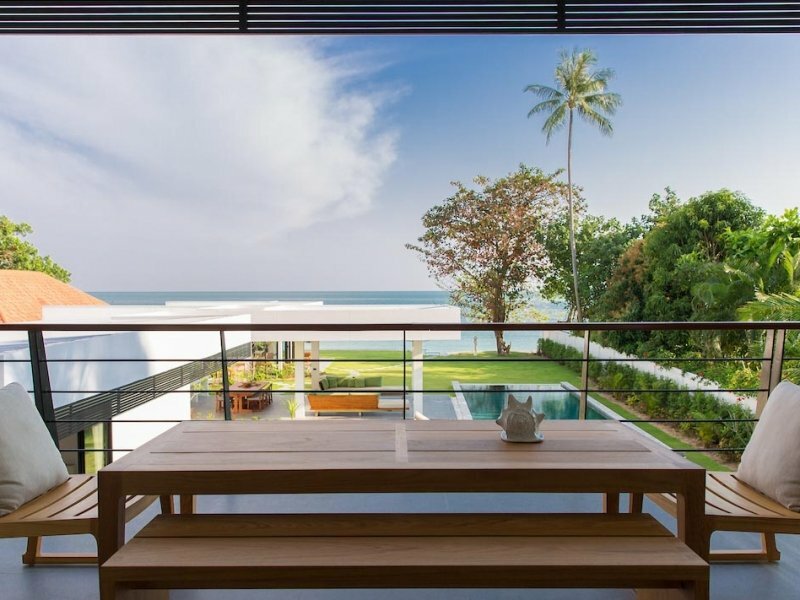 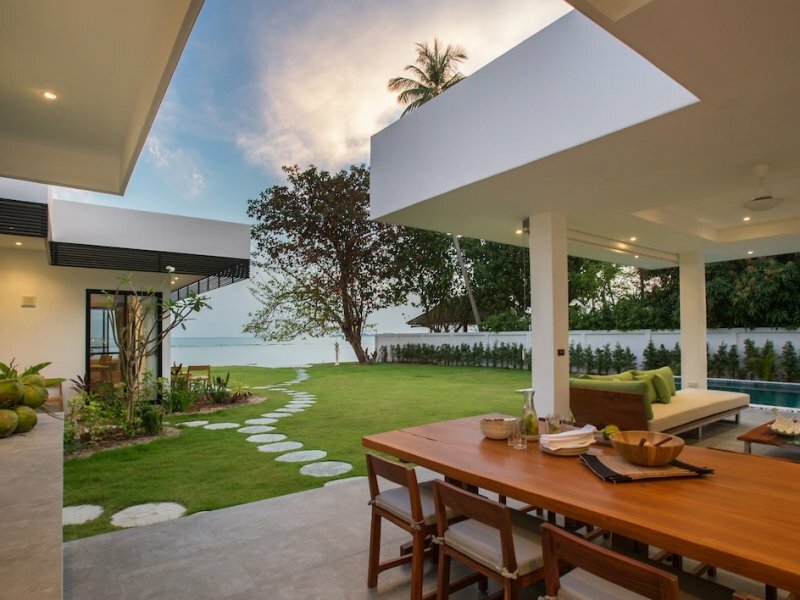 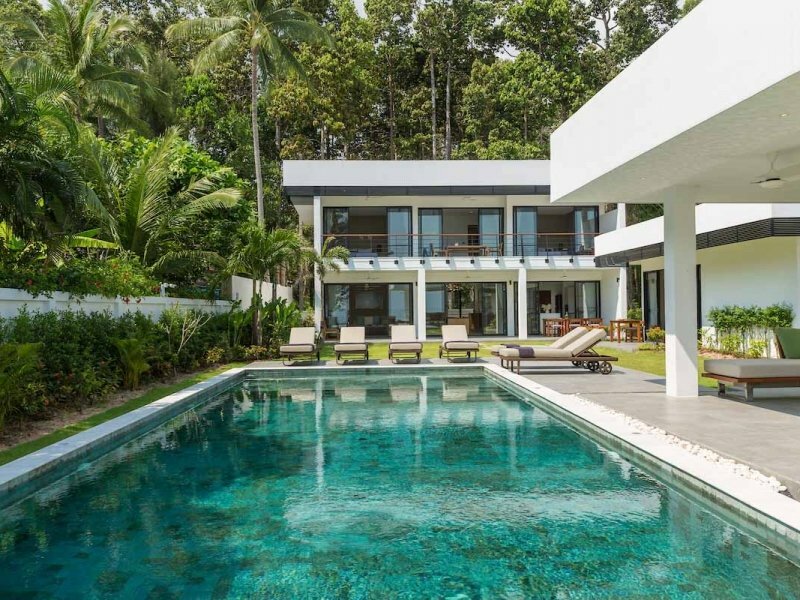 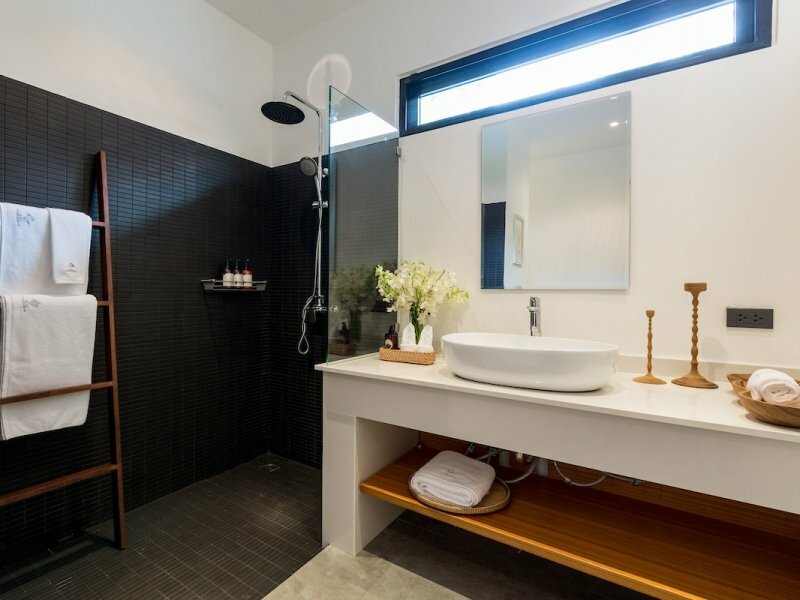 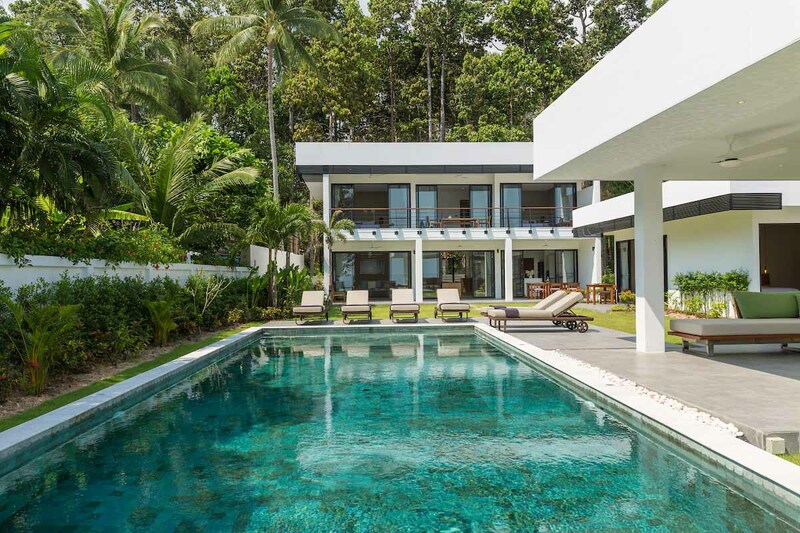 Villa Thansamaay is a brand new luxury beachfront villa built on the beach on Samui’s spectacular southern coastline. 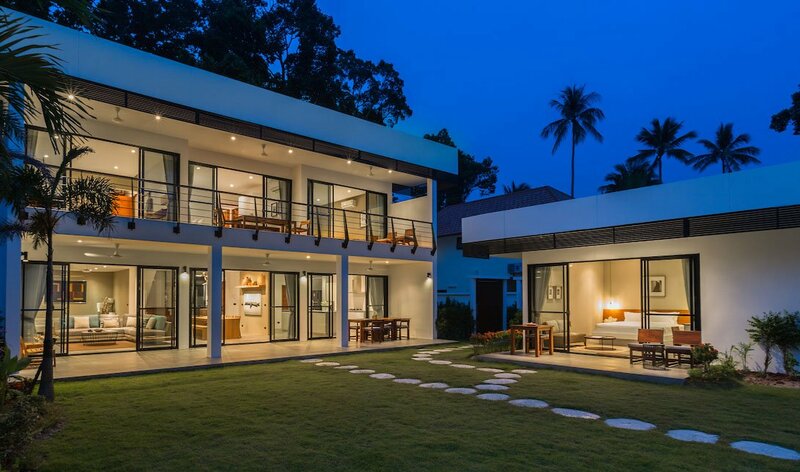 It is architecturally modern with large rooms, wide-open spaces, incredible views and 27 meters of beachfront. 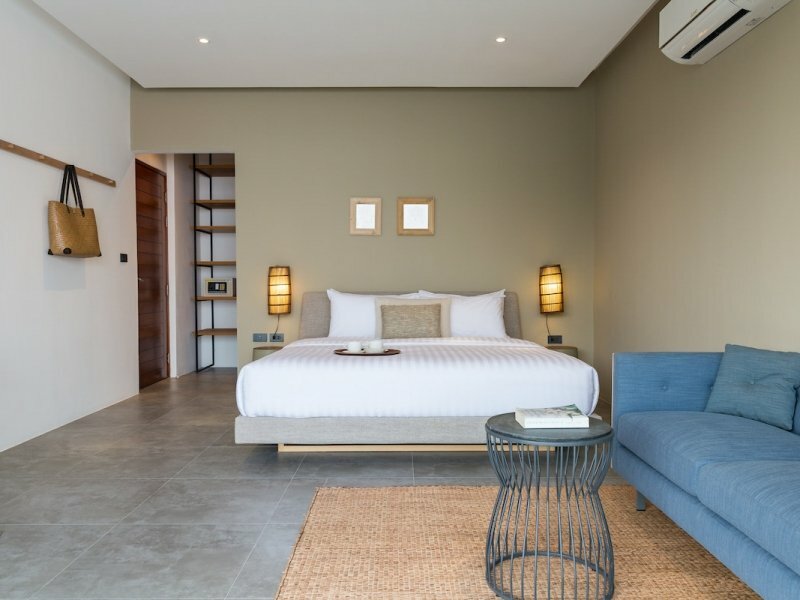 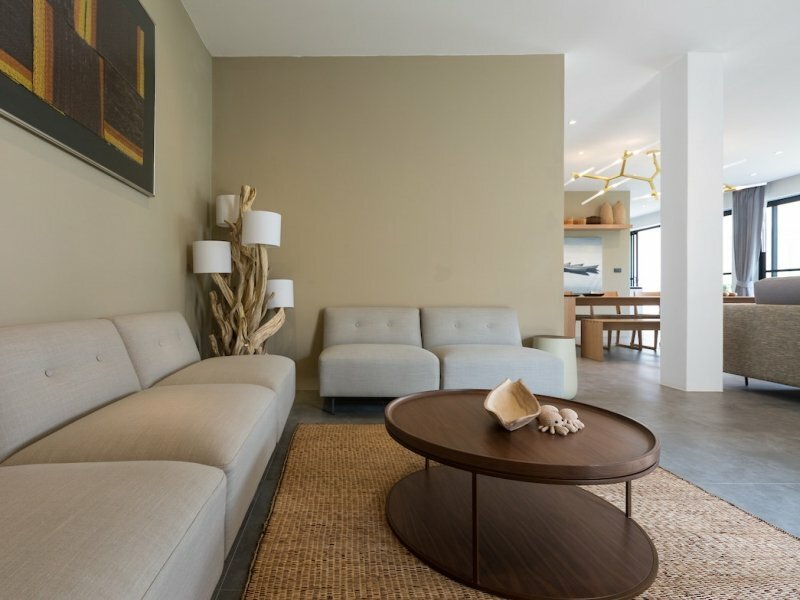 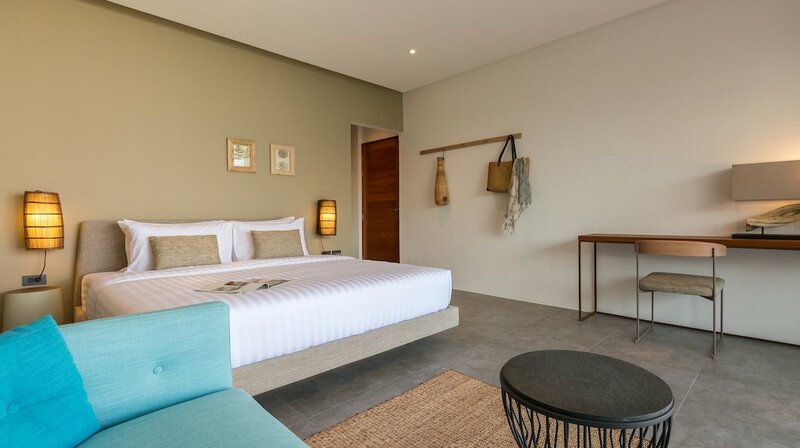 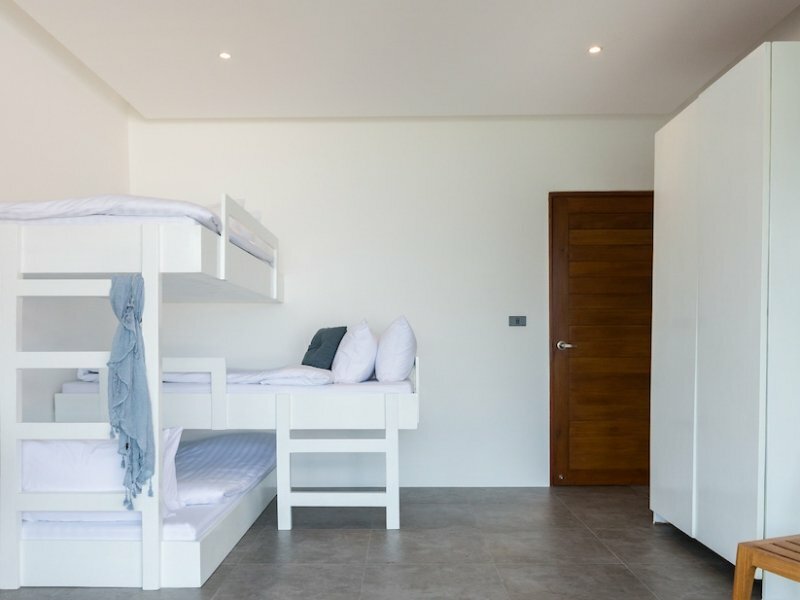 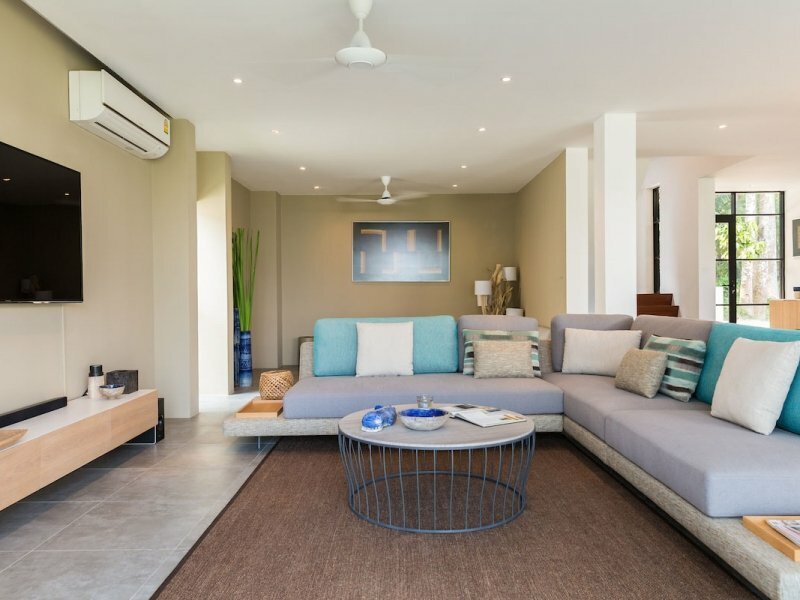 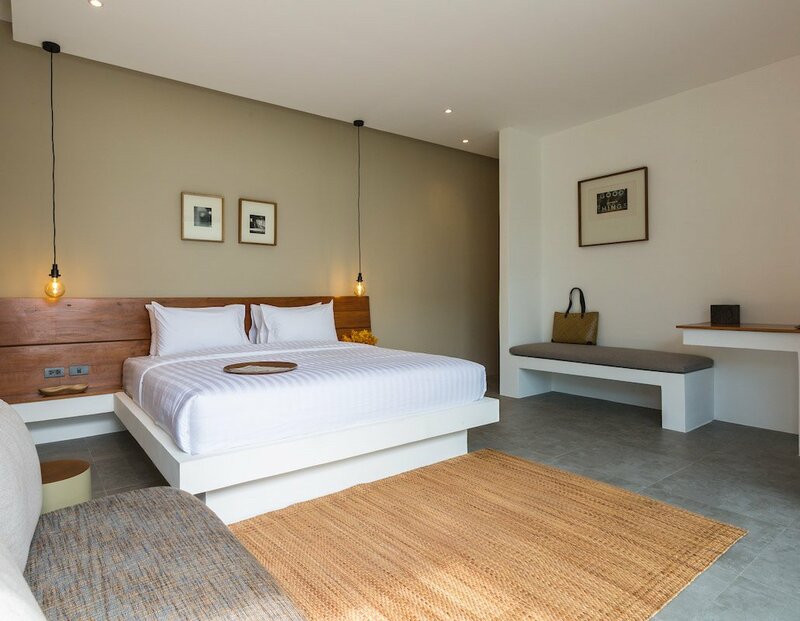 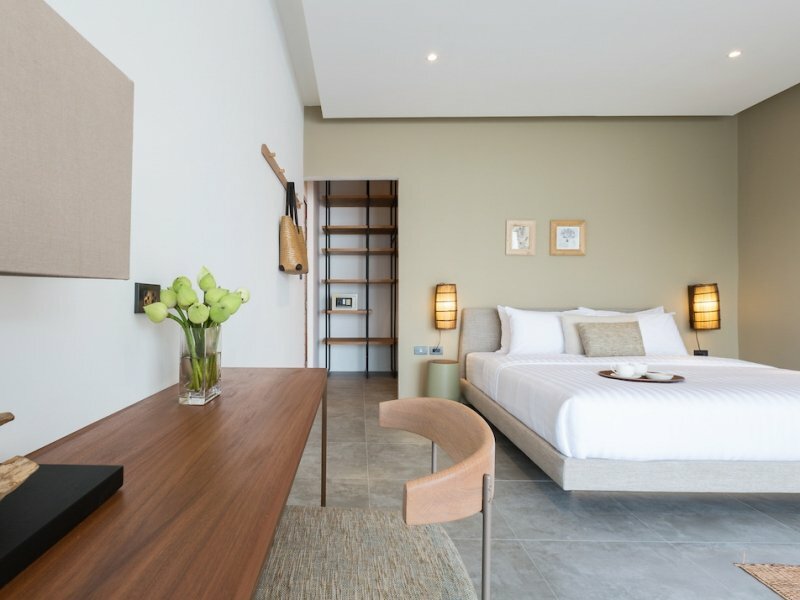 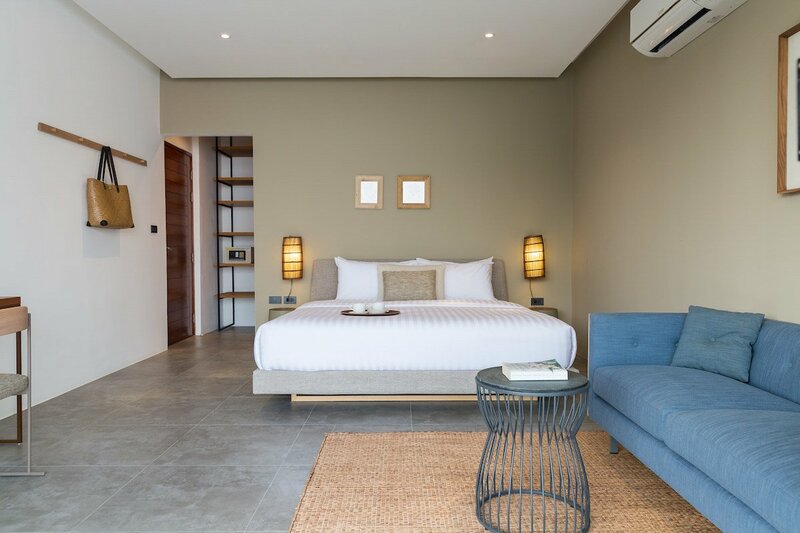 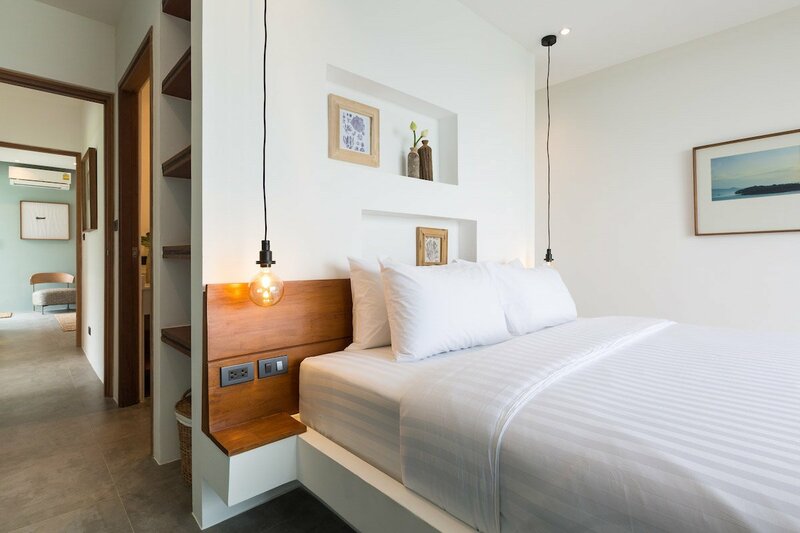 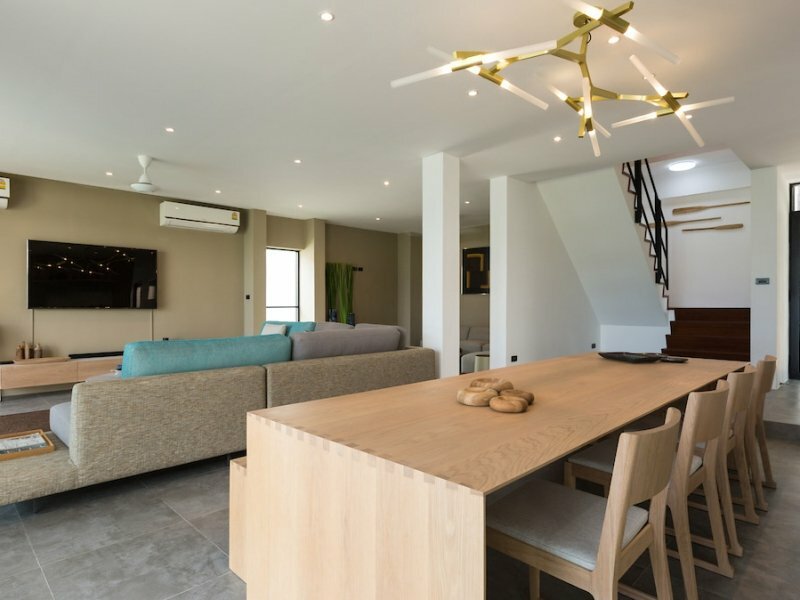 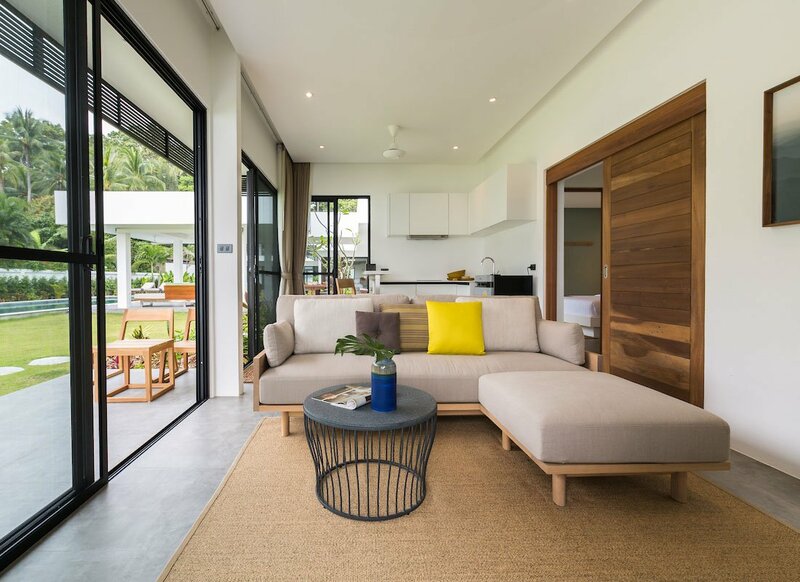 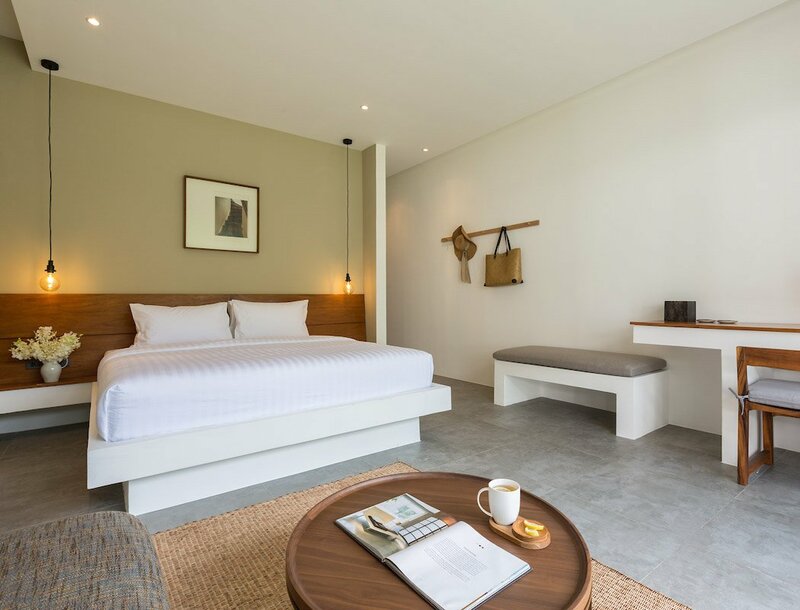 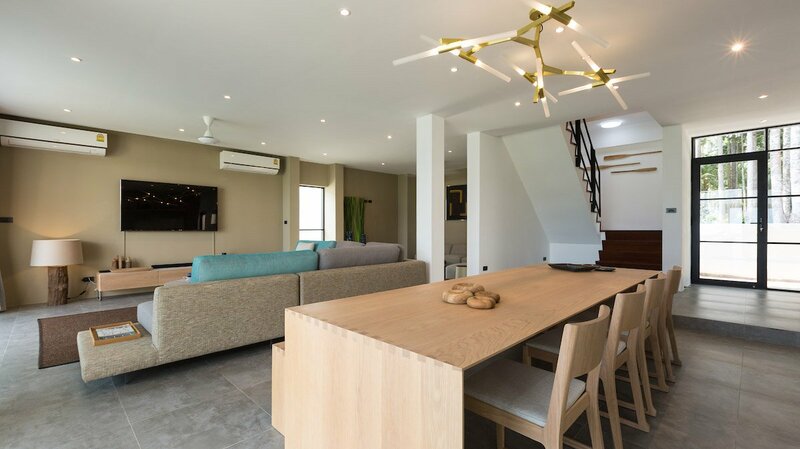 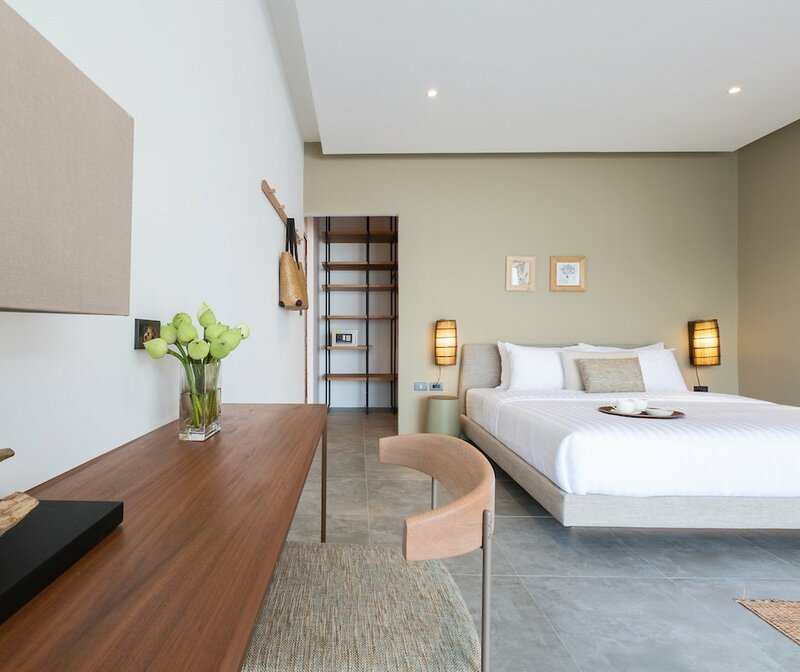 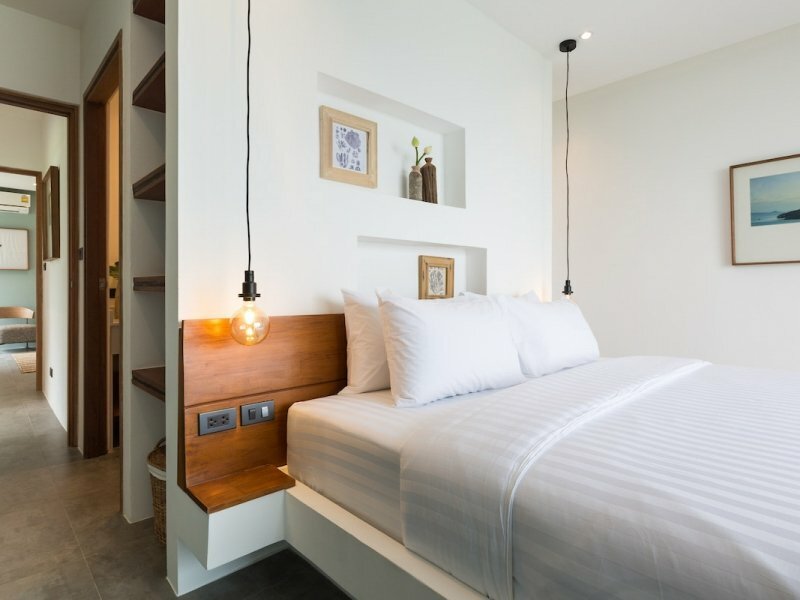 And one of Thailand’s most respected interior design companies has given the villa contemporary furnishings, stylish features and a welcome nod to the island’s nautical heritage. 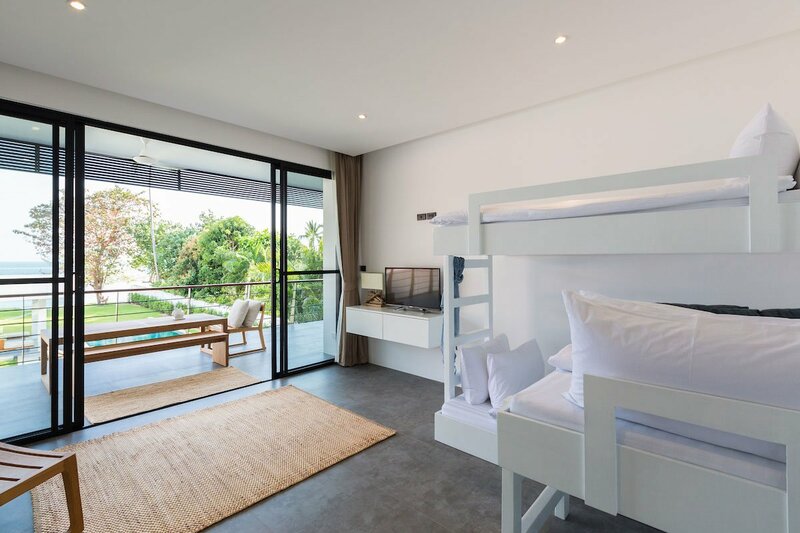 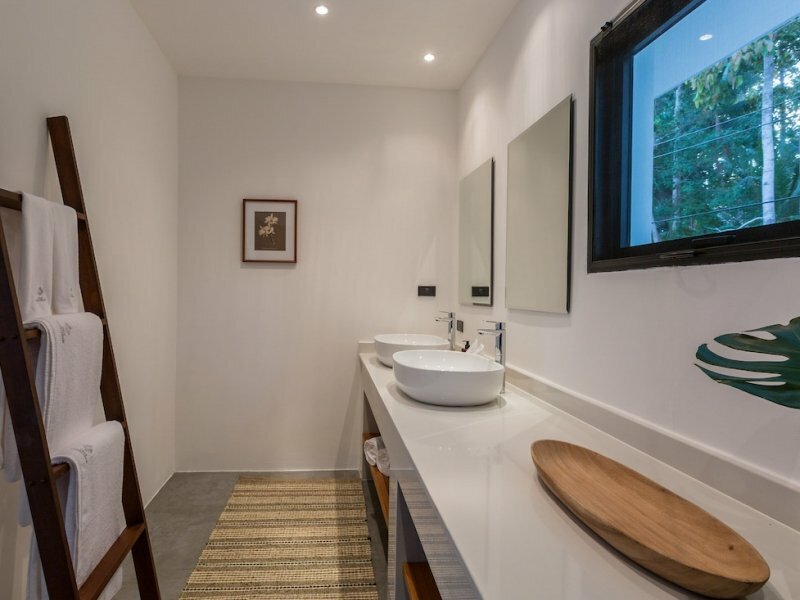 The villa can sleep 12 adults and 3 children within 7 beautifully decorated bedrooms. 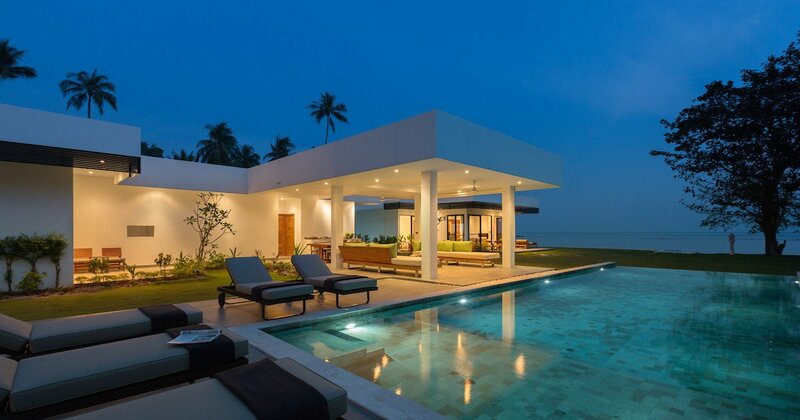 But those are just numbers; they don’t begin to tell the true reality of just how stunning this villa genuinely is. 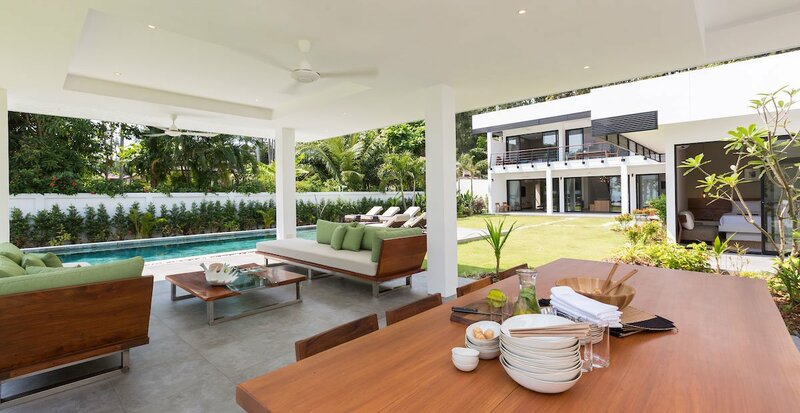 Opposite the pool is a large covered sala with plenty of sofas for relaxing on and a huge wooden dining table that is ideal for al fresco dining any time of the day or night. 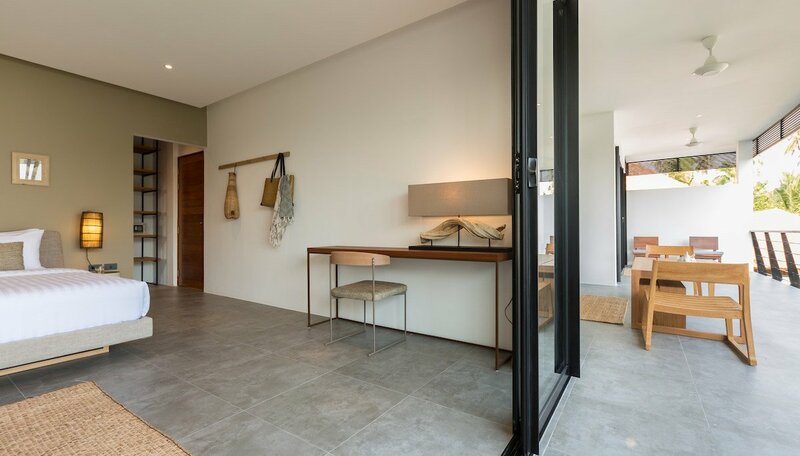 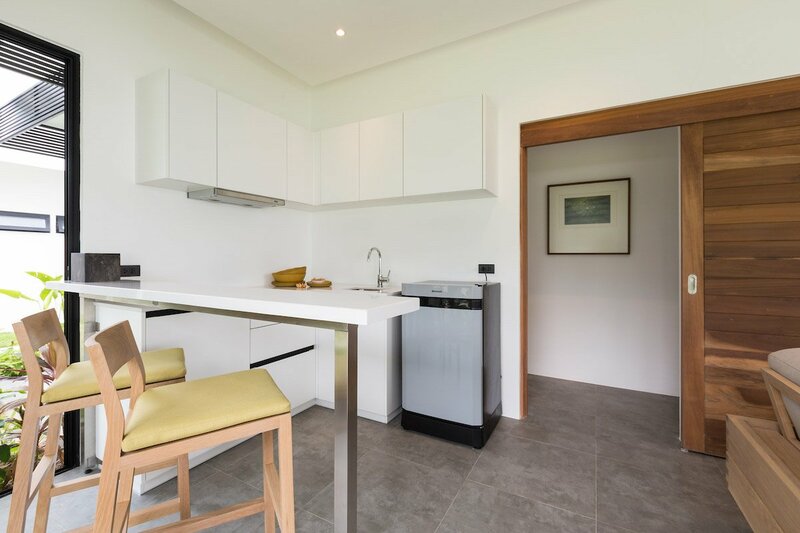 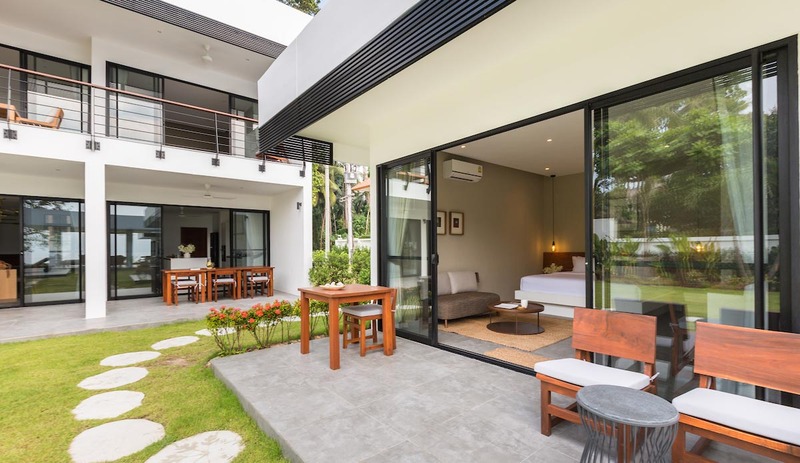 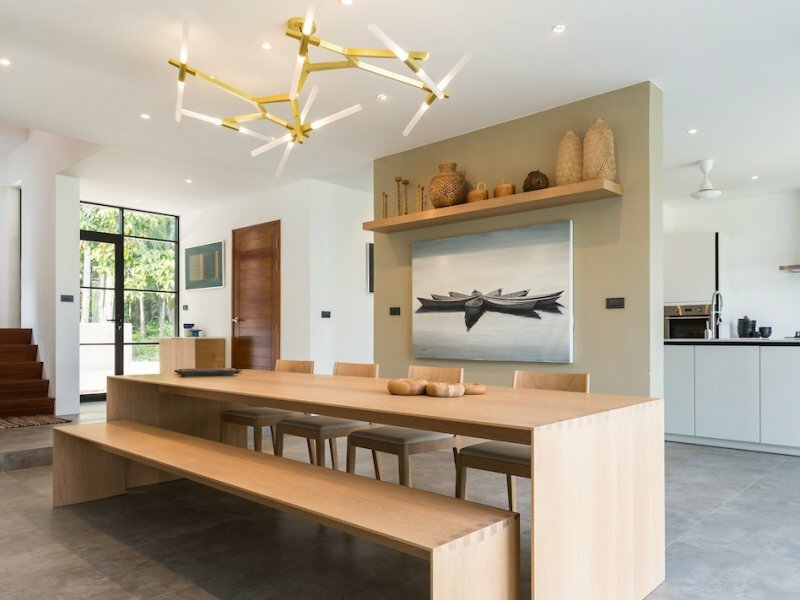 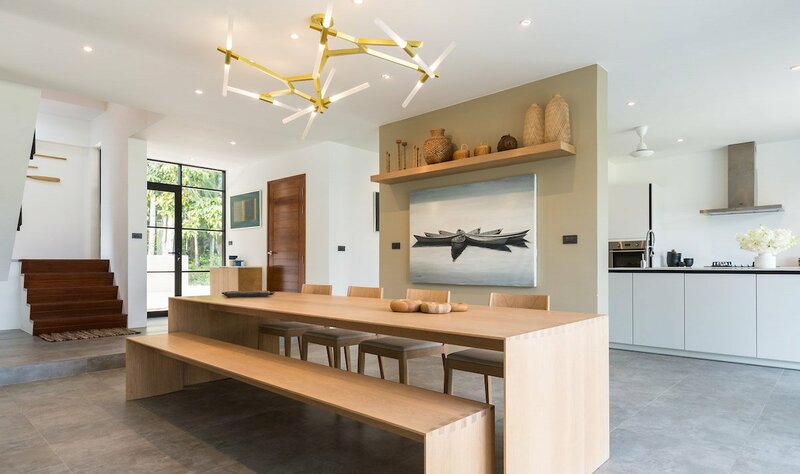 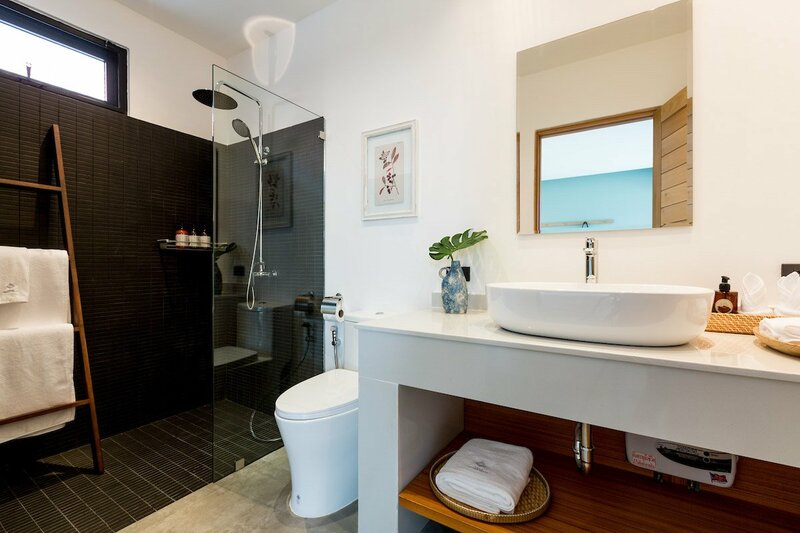 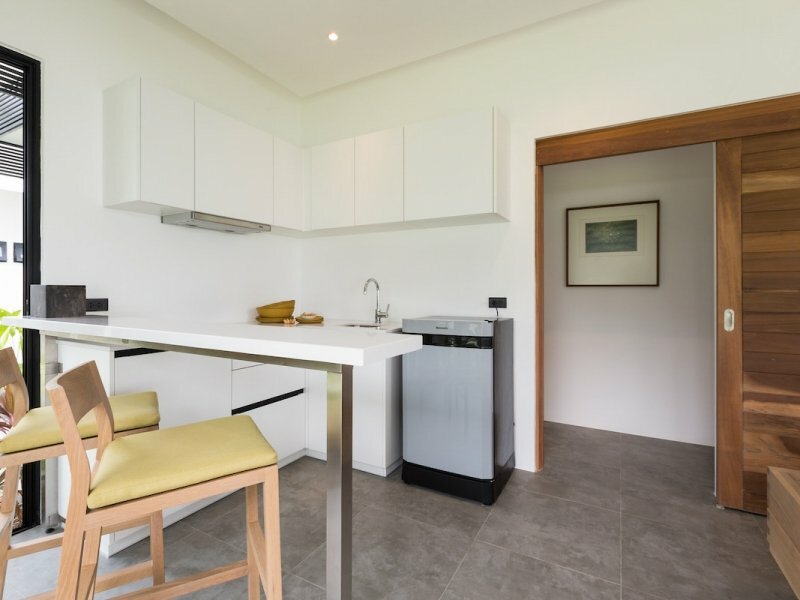 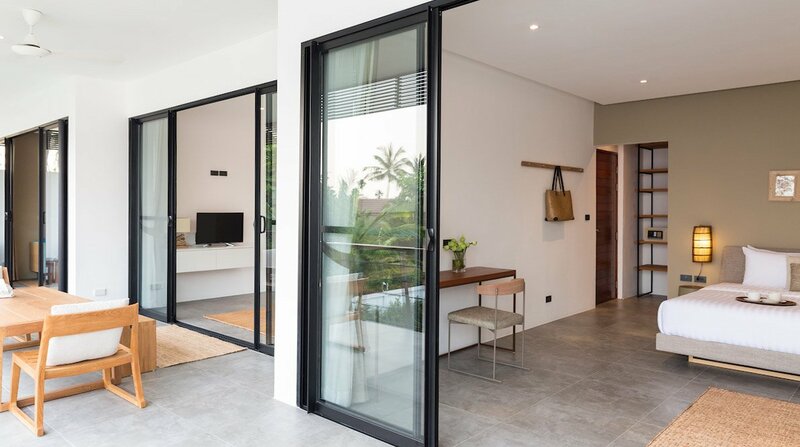 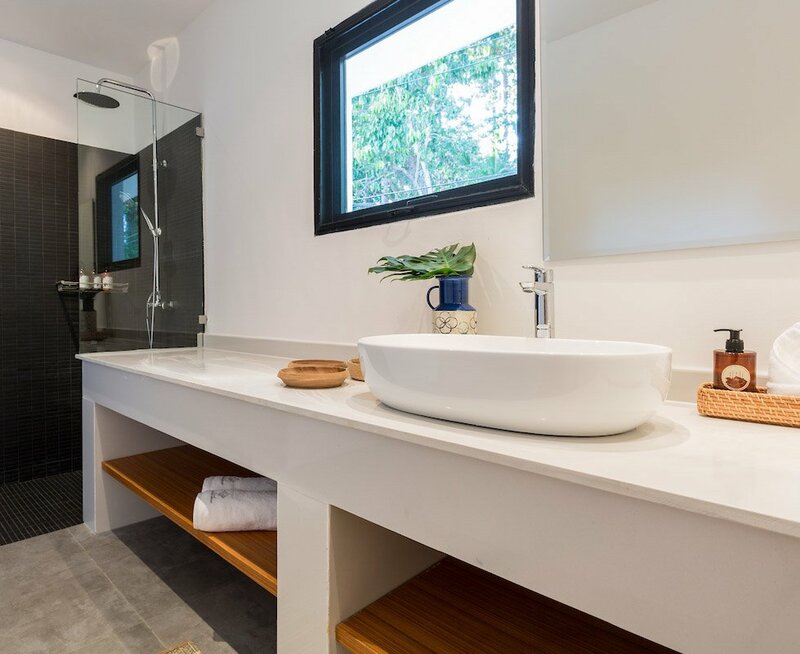 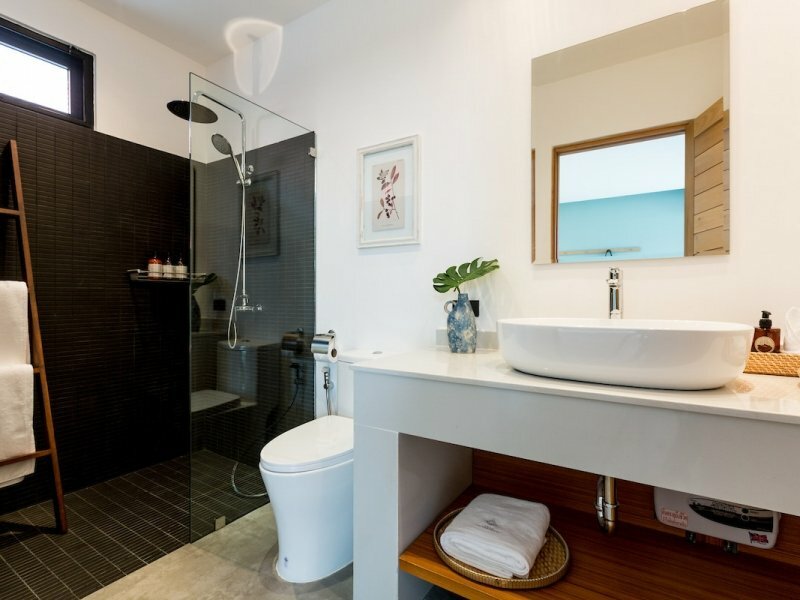 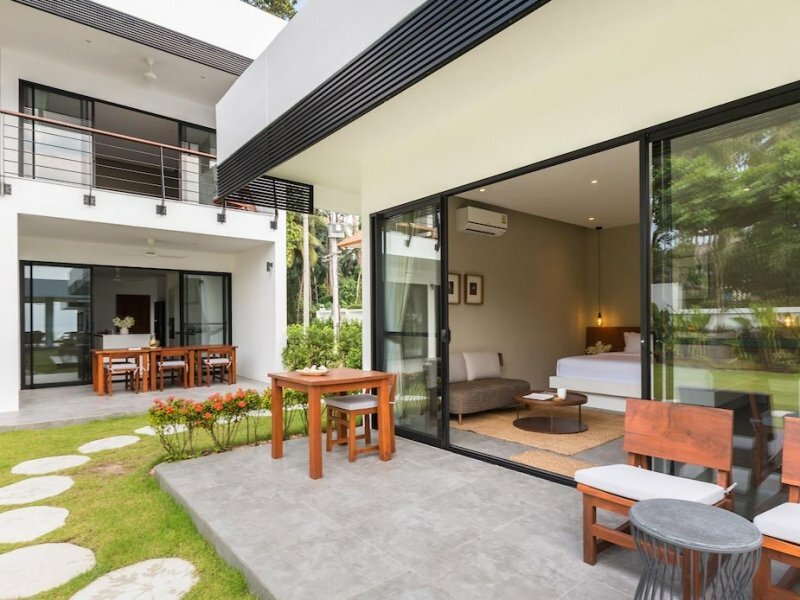 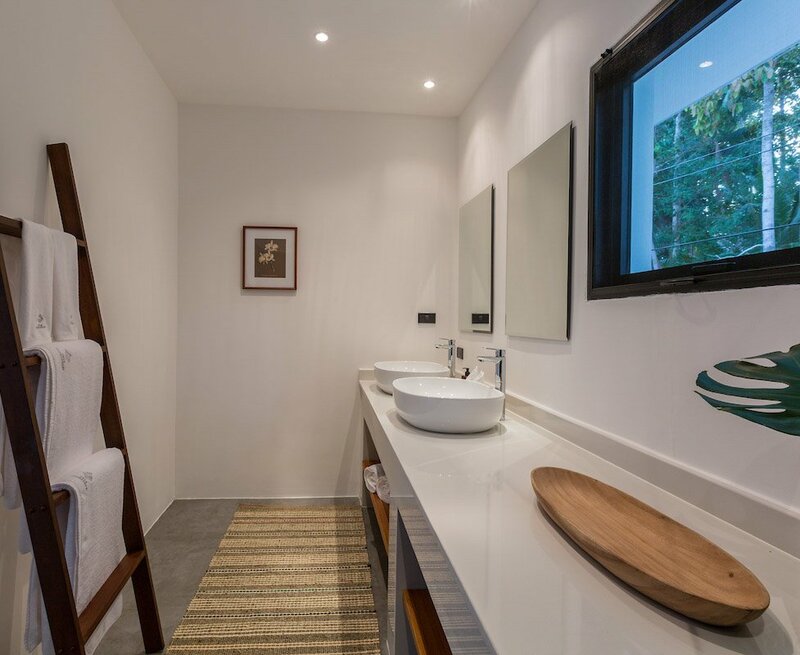 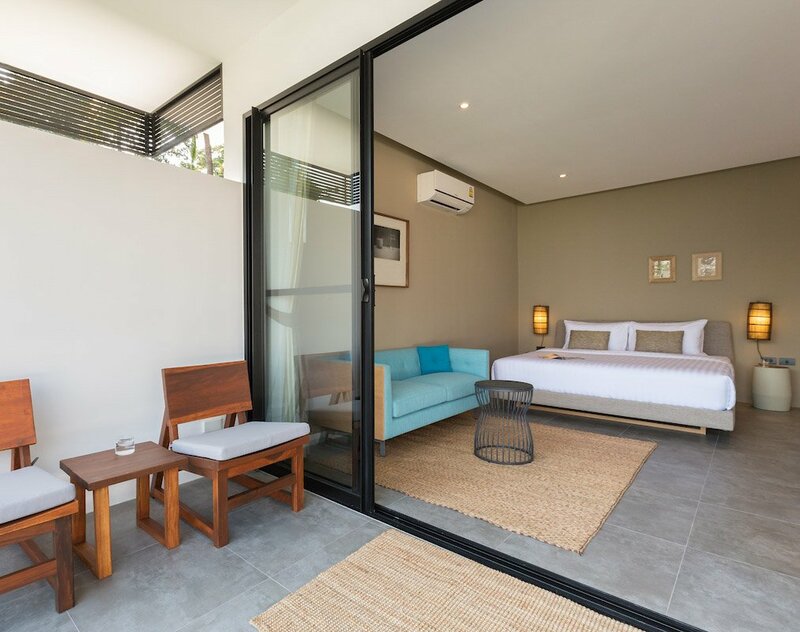 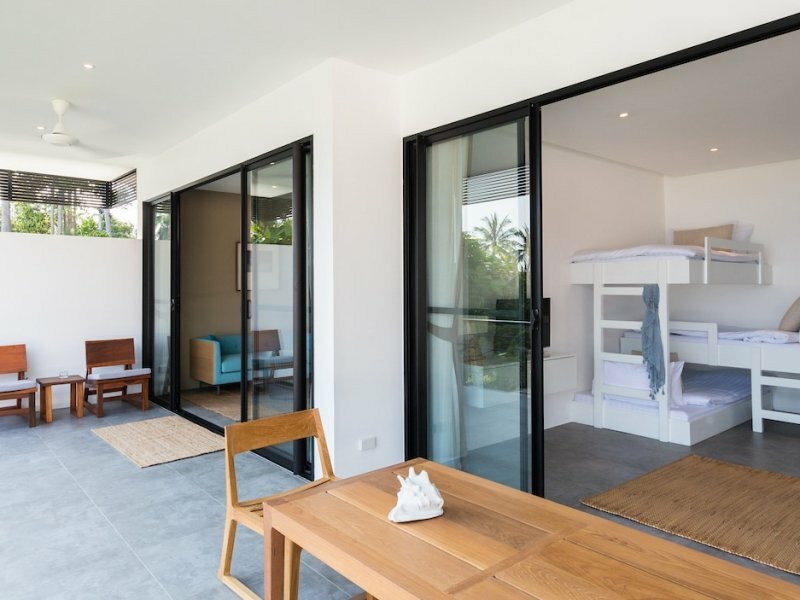 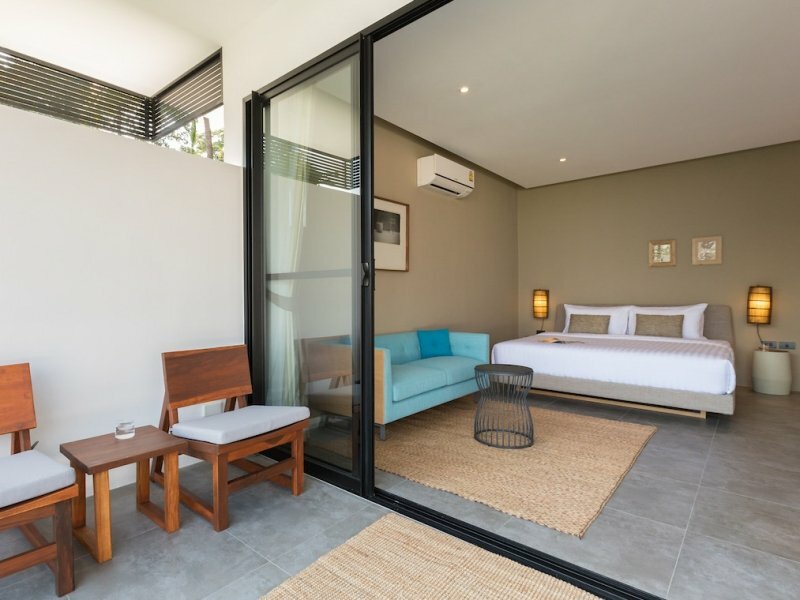 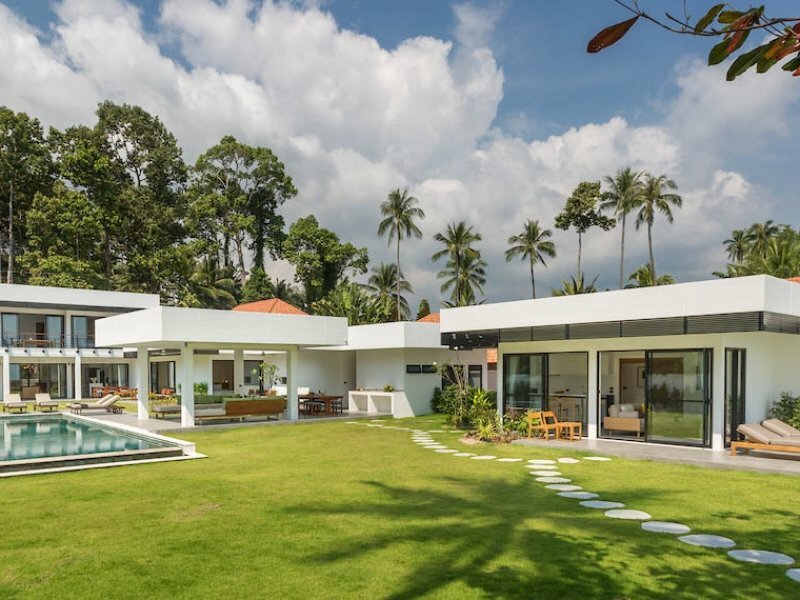 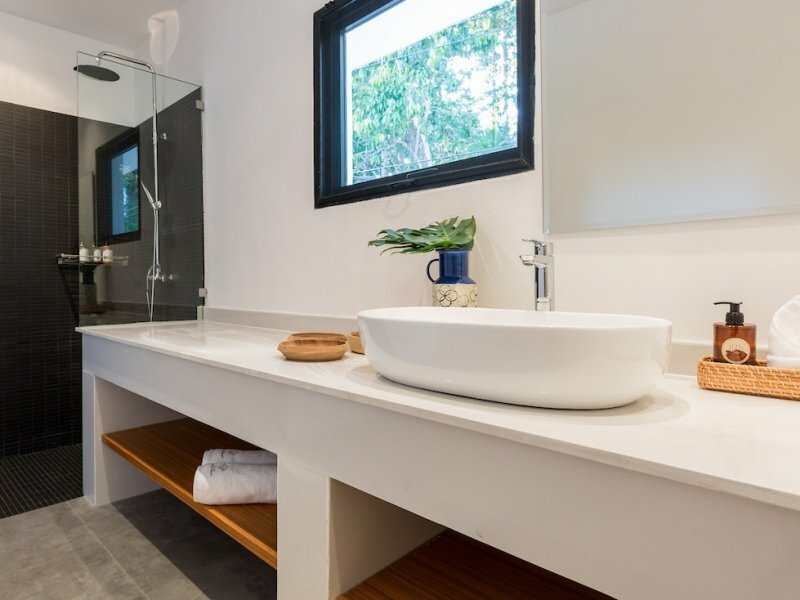 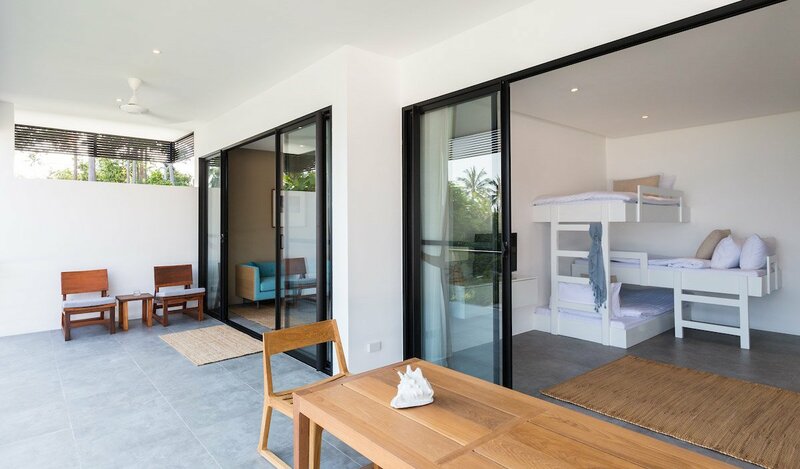 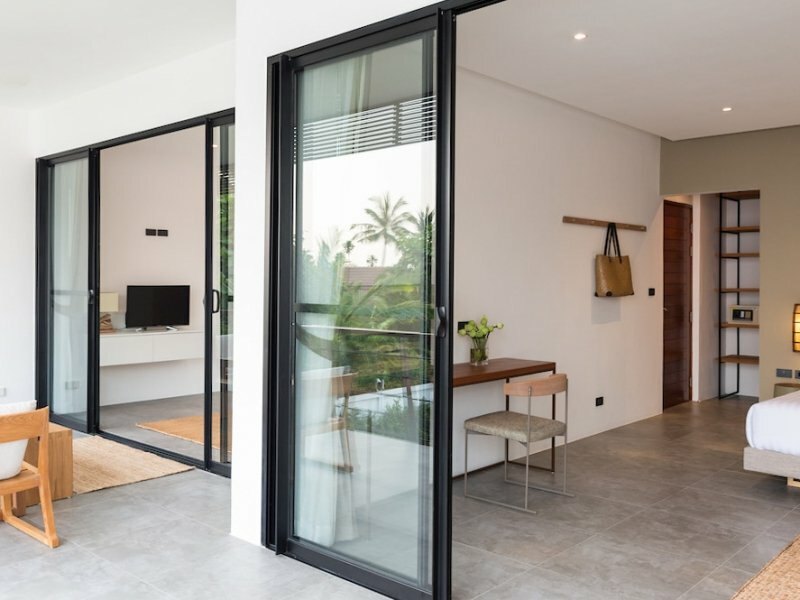 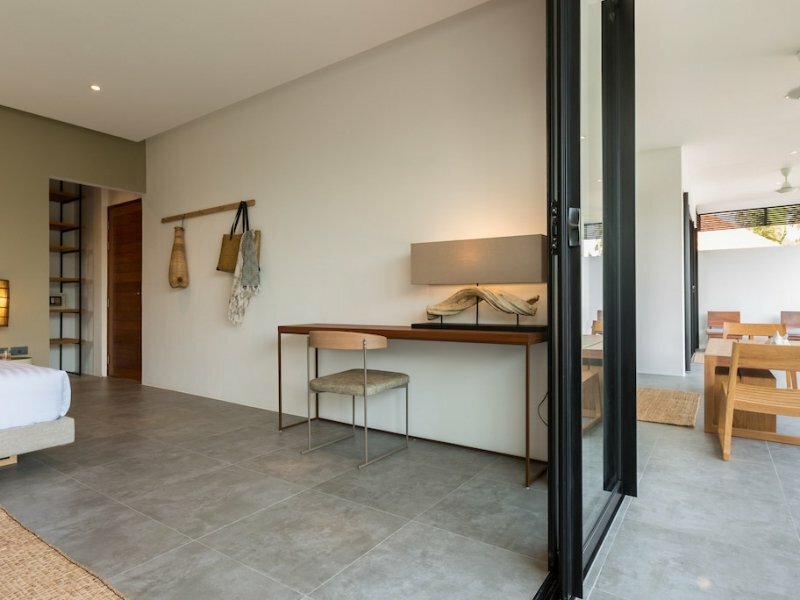 Close by, though walled in and discreetly hidden from view, is a Thai kitchen – separate from the main kitchen – and your personal chef can prepare meals from breakfast, to lunch to evening barbecues from this kitchen. Beside the sala are bedrooms 3 and 4 and these again are large and tastefully decorated and adorned. 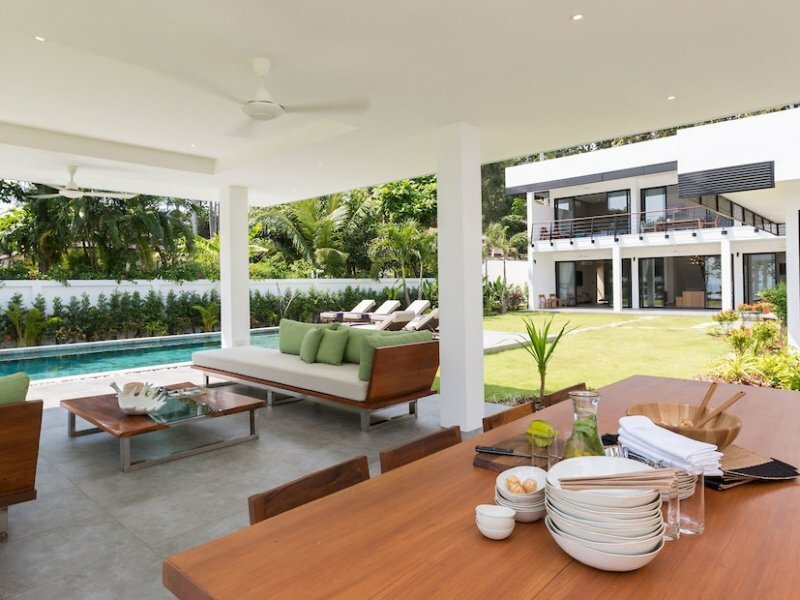 The main part of the villa, just beyond the outdoor dining area, is on 2 levels and on the upper level are 3 large bedrooms all facing the ocean. 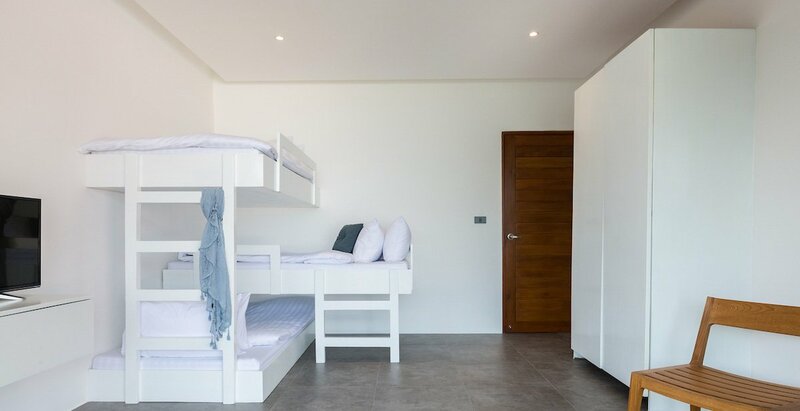 The middle room is a triple-bunk room for younger children that also has a TV and enough space for them to play in and an adjacent bathroom and all the rooms on the upper level open out onto a large balcony that’s big enough to host a dinner party but is probably best enjoyed as a quiet, elevated space to take in the views and relax with a book and a glass of wine. 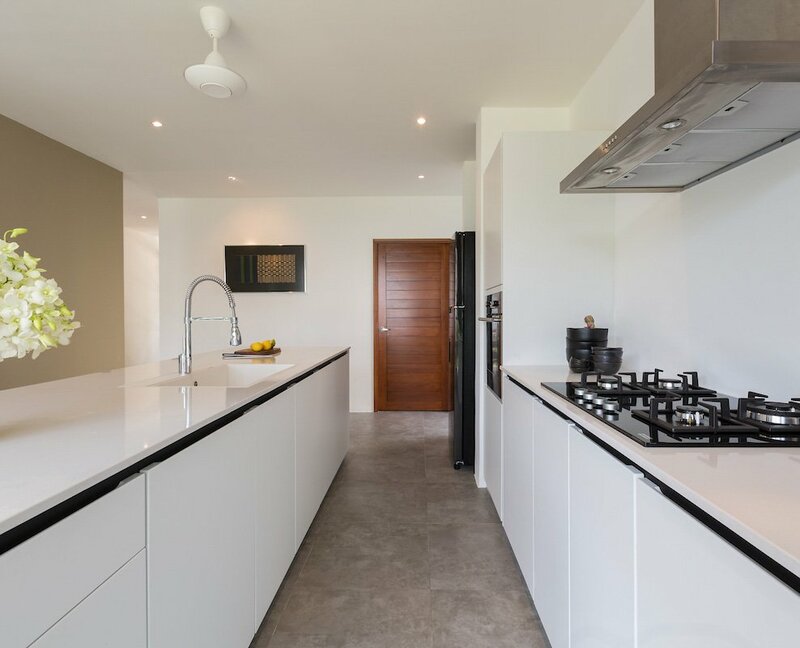 On the ground level is a modern kitchen with all the top quality equipment any chef could ever need along with an excess of crockery, cutlery, glassware and cooking utensils. 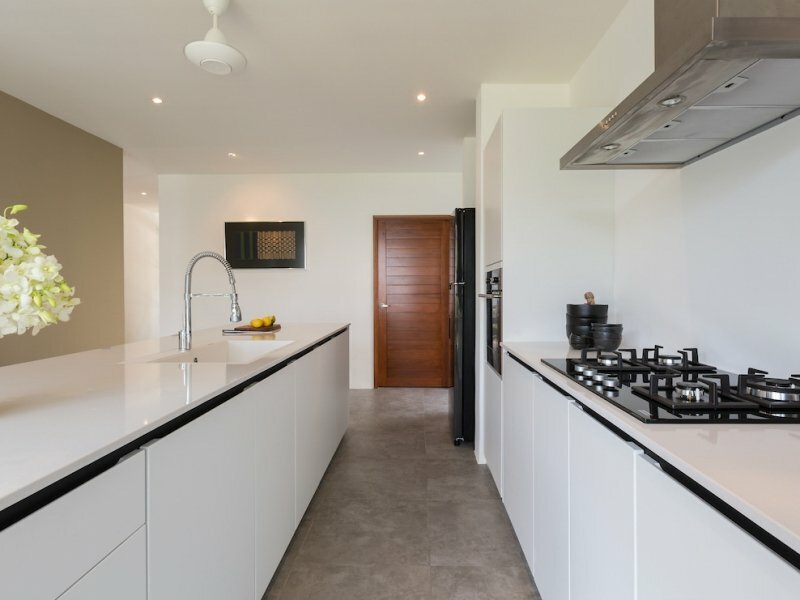 And there is an abundance of storage space and a separate larder/storeroom. 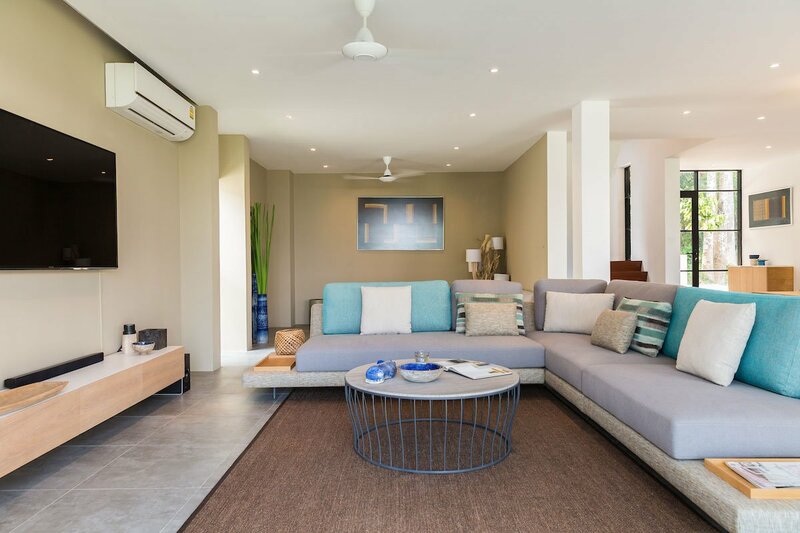 The main living area has 3 distinct parts, a large indoor dining table that everyone can sit around, a spacious TV lounge and a secondary lounge-come-library. 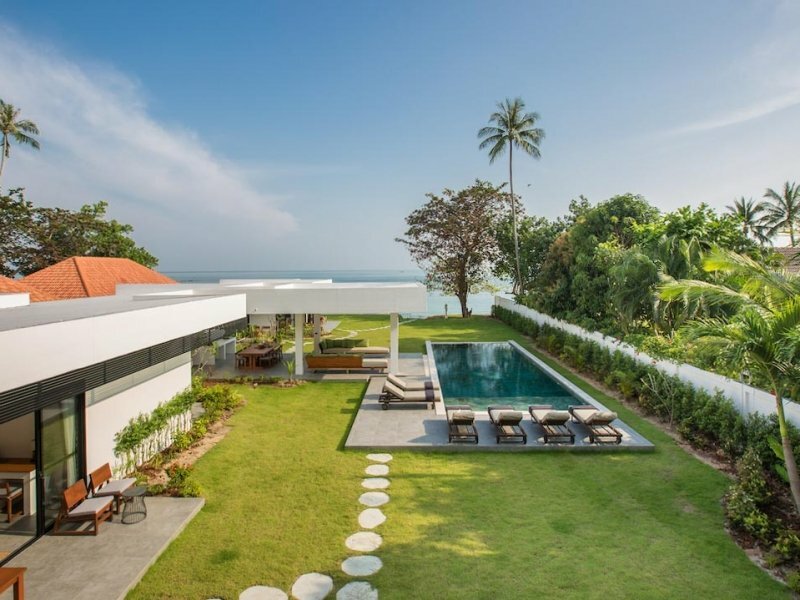 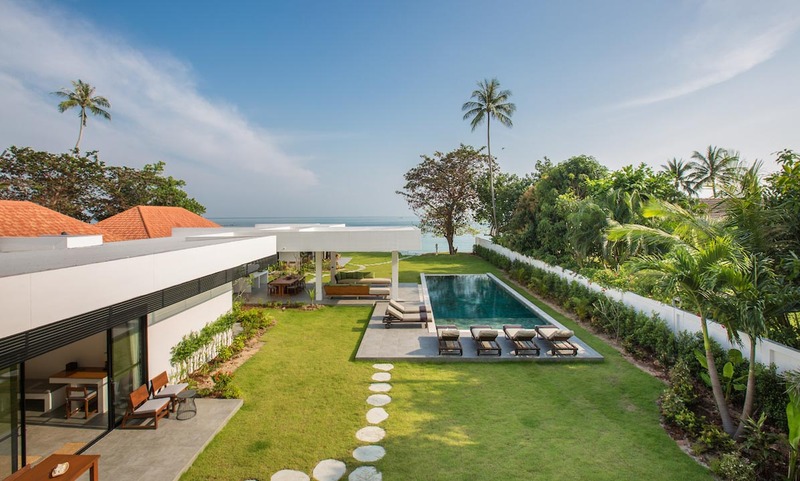 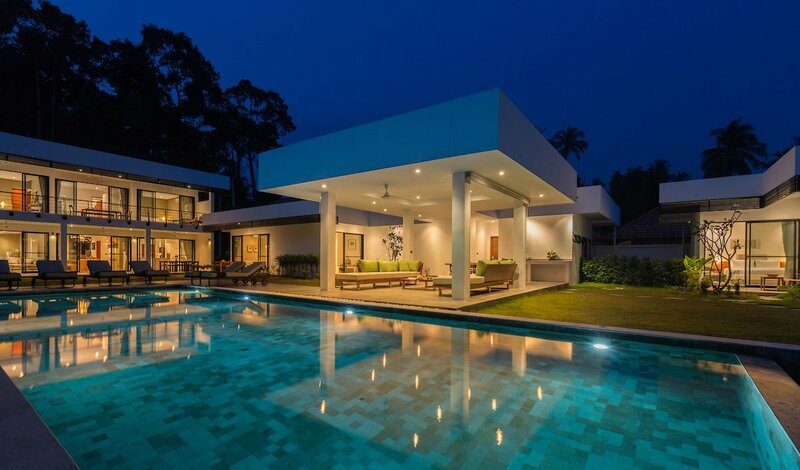 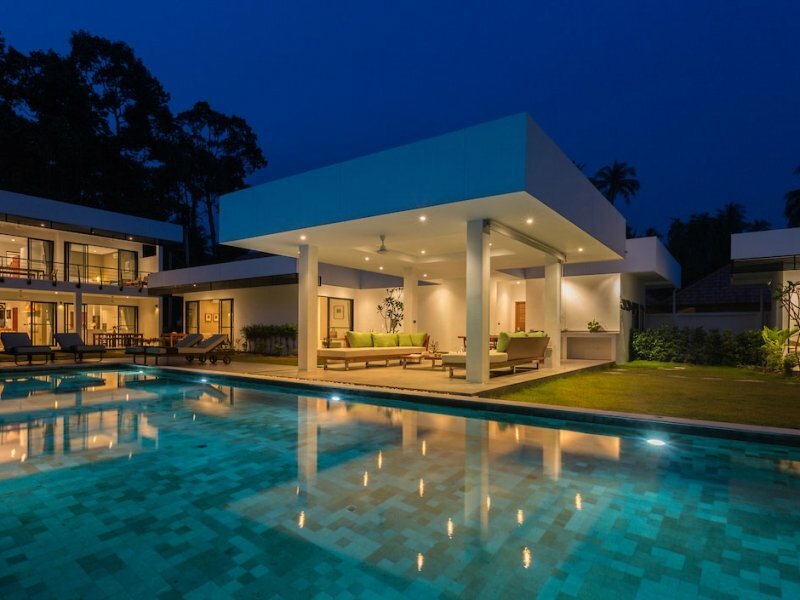 Villa Thansamaay is also an excellent venue for a wedding or family celebration. 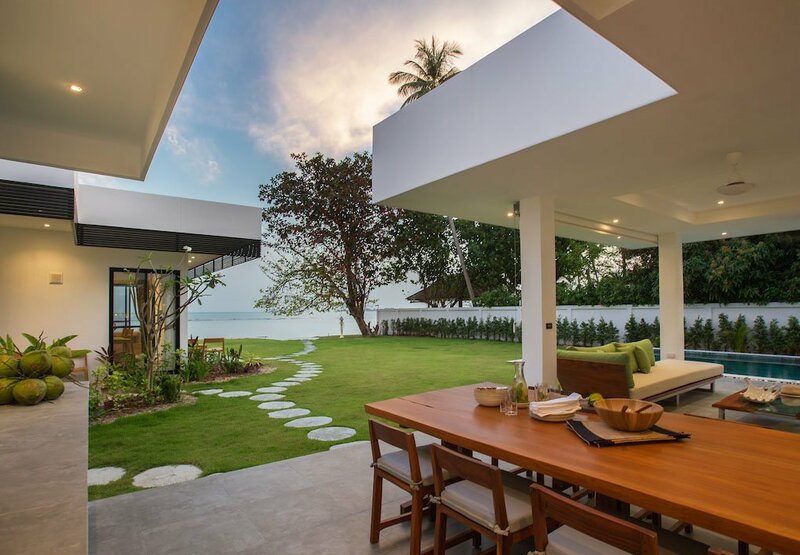 A wedding ceremony could take place on the beach and there is ample space in the garden for an evening reception with live music and dancing. 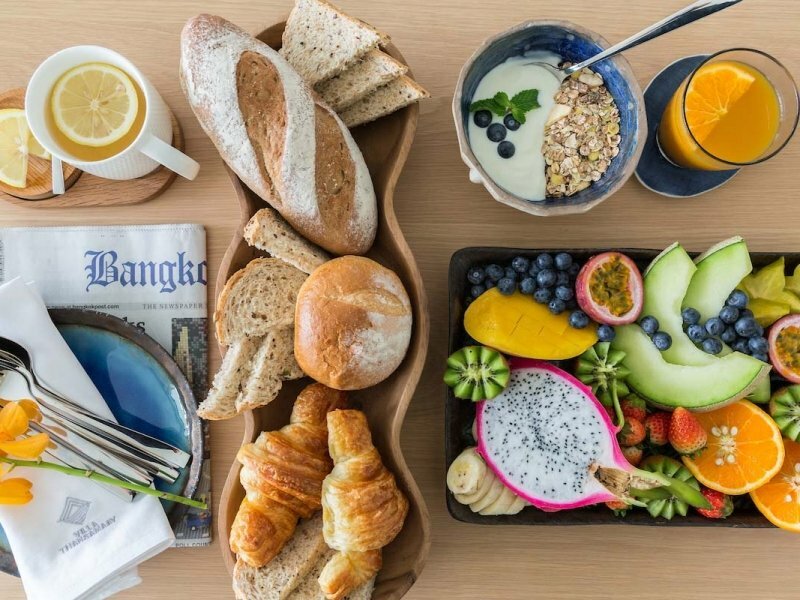 A continental breakfast with a twist is included in the rate, as is a Chinese breakfast option. 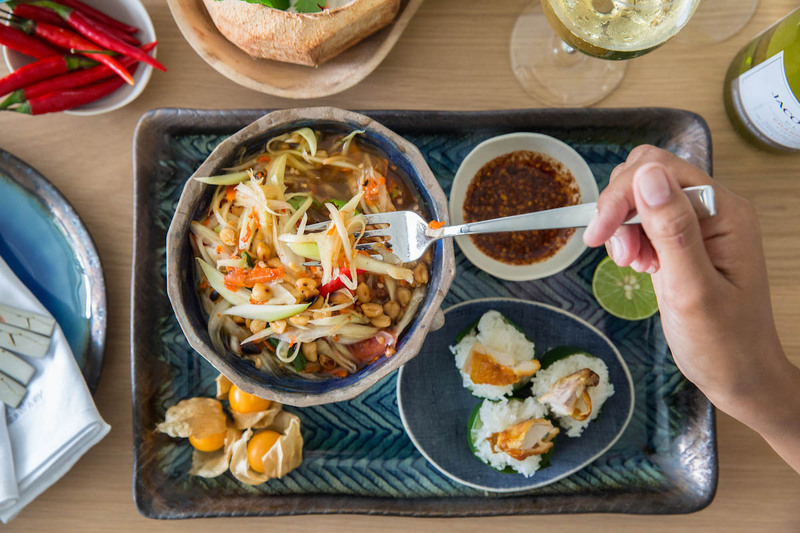 The services of the talented chef can be arranged at an additional fee (USD50++ per day). 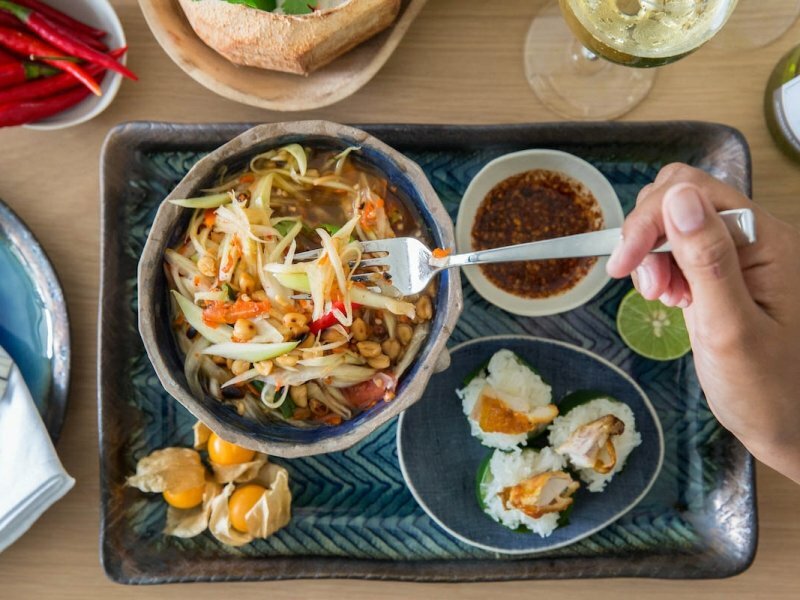 The chef delights in using produce from his own herb and vegetable garden, and with so many different spots to enjoy a meal, whether indoors or alfresco, it’s a good idea to make full use of this service, be it a barbecue by the pool, or a formal indoor dinner for a special celebration. 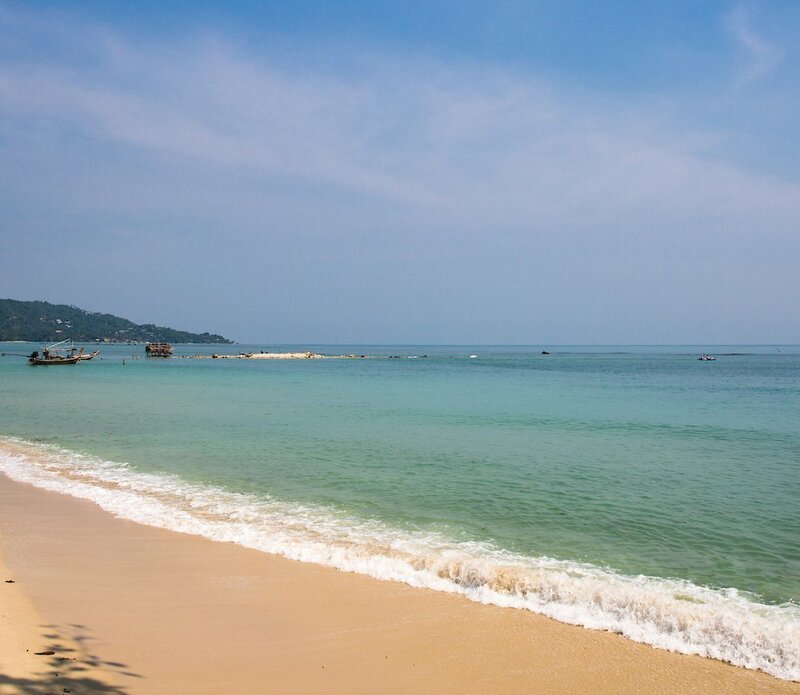 On Laem Sor Beach, within easy walking distance of the villa there are a couple of beach bars. 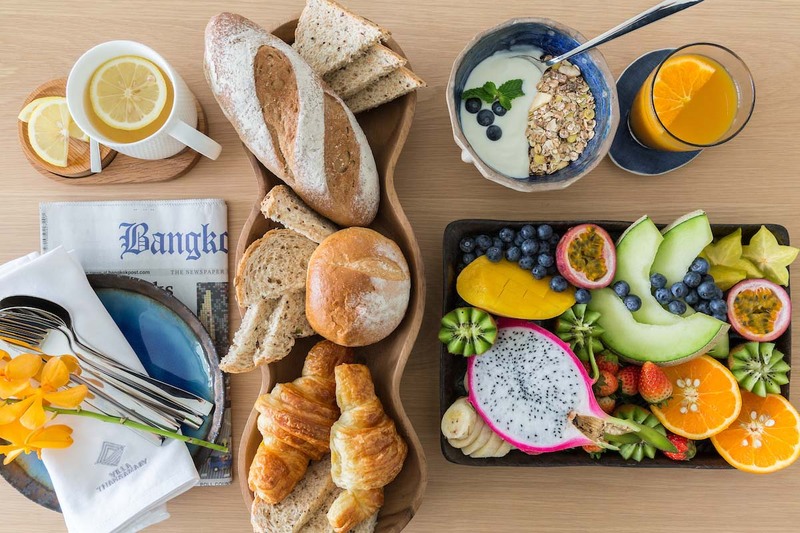 There are also several restaurants within walking distance, convenience shops and a yoga retreat. And within a short drive there are several temples of note, including Wat Khunaram, which is home to the Mummified Monk and the very beautiful Laem Sor Pagoda is less than 10 minutes away. 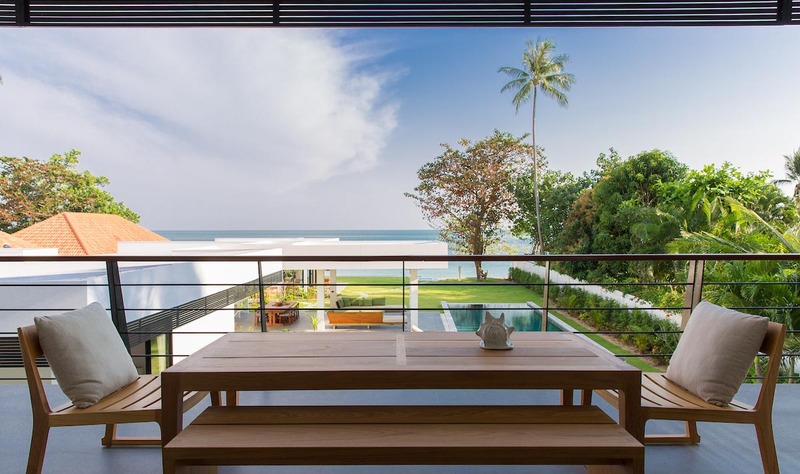 The small fishing village of Thong Krut is only a ten minute drive and it now has more than a dozen beachside restaurants and a number of shops. 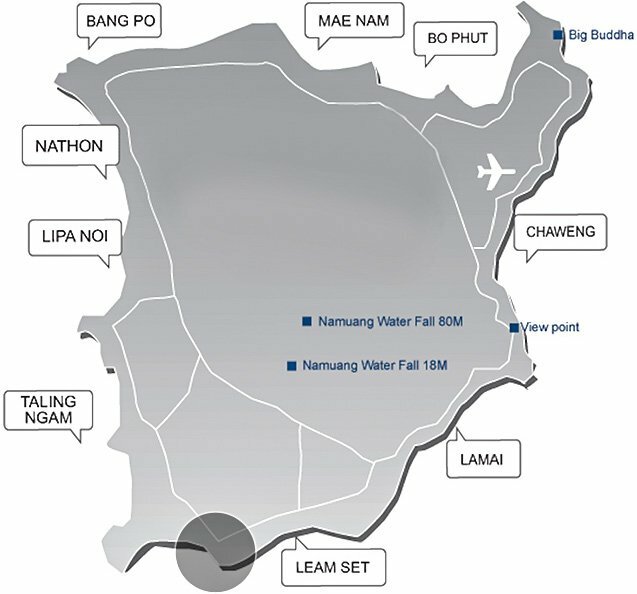 And it’s the place to book a tour to the neighboring islands of Koh Taen and Koh Mudsum. 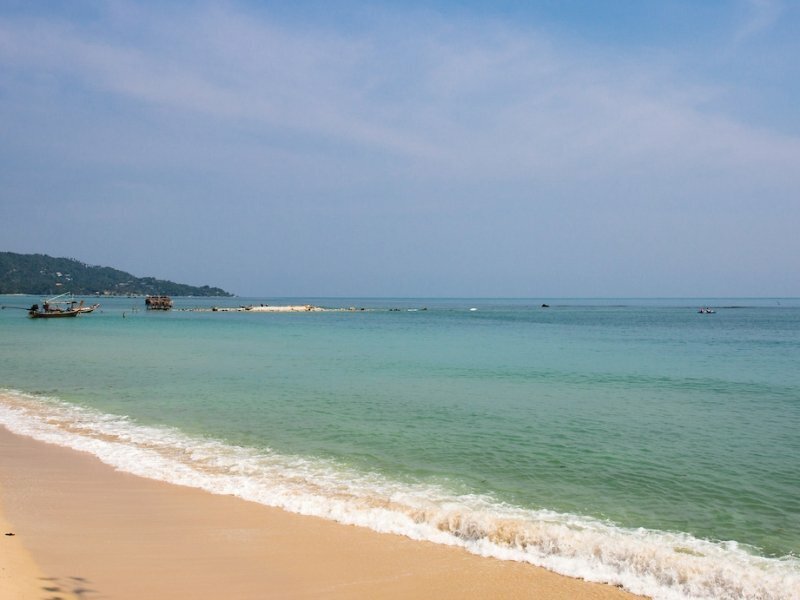 Koh Taen is the only inhabited island in the archipelago known as the Katen Archipelago and is well worth a visit.